700bhp is a rather eye-catching number, isn’t it? The new Shelby Mustang GT500 will produce more than this impressive output, Ford says, but let me present a GT500-related figure which might divert your attention from the car for a moment: $2.2 million. That’s how much someone’s just spent on another GT500 at an auction in Kissimmee, Florida. To be more specific, it’s a 1967 one-off Shelby GT500 Super Snake, and it now holds the record for the most expensive Mustang ever sold. 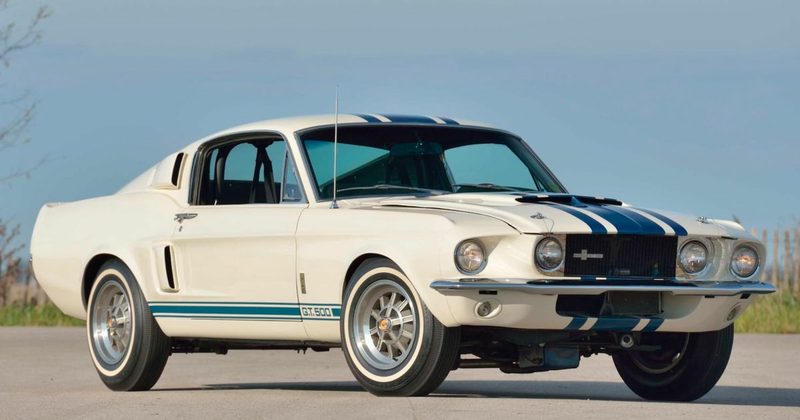 It smashed both Mecum Auctions’ $1,000,000 - $1,200,000 estimate, and obliterated the previous ‘Stang record of $1.3 million. And the previous record holder was… this very car, actually. So what makes it so special? 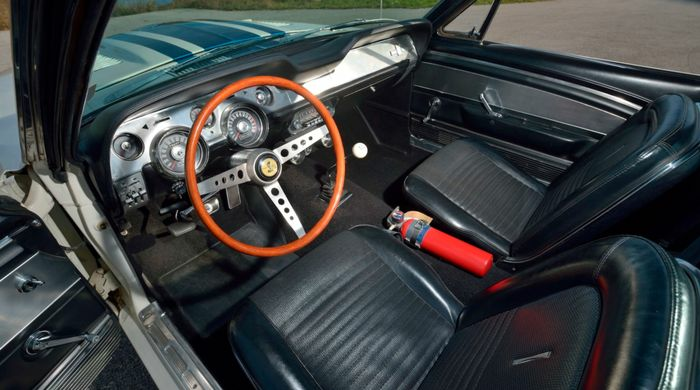 In the late 1960s, Shelby was Goodyear’s West Coast distributor. 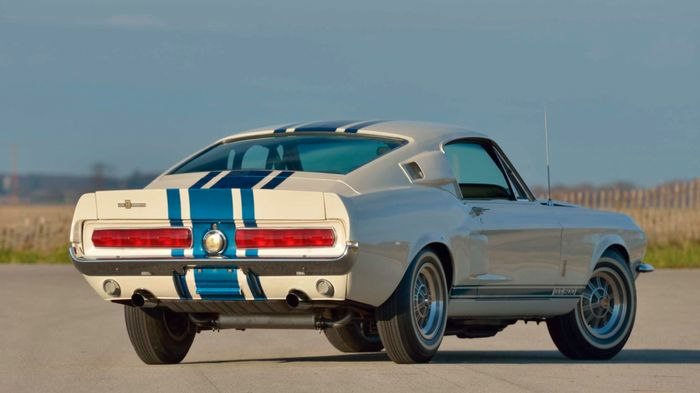 The tyre company needed to plug its new Thunderbolt economy boots, so a plan was set in motion: a GT500 would be used for a lengthy high-speed test at Goodyear’s San Angelo, Texas facility, drumming up lots of juicy publicity in the process. Don McCain, Shelby American’s former sales boss, then approached Shelby w=ith a proposal to take the test one step further: the GT500 could be turned into a monster with world-beating performance. And this would be done by stuffing a Ford GT40-spec 427 racing engine under the bonnet. 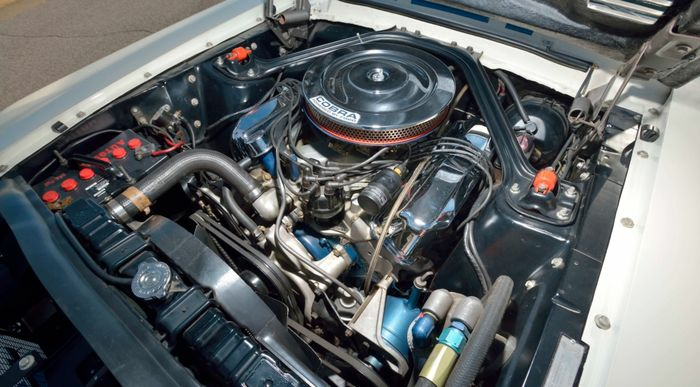 While the regular GT500 made do with a ‘just’ 350bhp, the Super Snake was good for more like 600. It was given a new rear axle, a fresh gearbox, and was soon sent out for a 500-mile tyre test on Goodyear’s five-mile oval. It averaged 142mph and hit a top speed of 170mph. Despite being the thinnest hoops ever put on a Shelby GT car, the Thunderbolts still had 97 per cent of their tread left by the end. The intention was to put the car into limited-production, but it was deemed too expensive, with a projected price double that of a GT500. 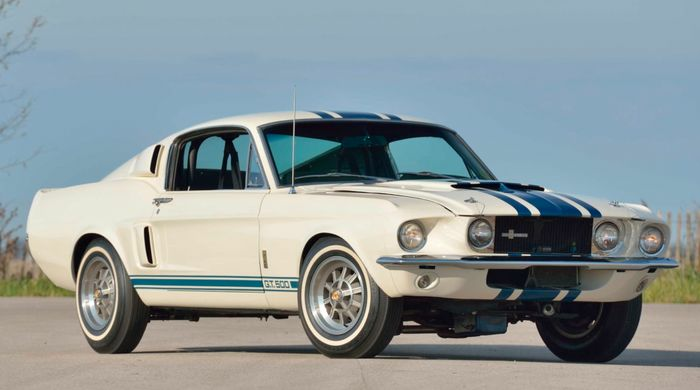 Shelby sold the prototype in 1970, and it changed hands several times in the following decades before the current owner - Shelby collector John Wickey - took possession around five years ago. And yes, it is still sitting on skinny whitewall Thunderbolts. Richard Ellis - the guy who sold it to Wickey - once told Auto Enthusiast Magazine that he’d “Found what has to be the only surviving set in a warehouse in Akron, Ohio.” He was convinced Shelby simply binned the original tyres used for the test itself. With a back-story like that, it’s perhaps unsurprising the Super Snake went for such a huge figure. You wouldn’t want to bet against it breaking the record again at some point, either.